Facing criminal charges for drinking and driving is not only terrifying, but is also incredibly stressful. The most common question is “what is going to happen to me now that I am being charged with a DUI or other criminal offense?” If you were arrested and charged with any DUI crime in the Fresno Superior Court, you need a DUI attorney that understands the courts and knows how to negotiate a case and take it to trial. Under California Vehicle Code section 23152, anyone driving under the influence of alcohol, drugs, or prescription medication will be charged with a DUI. The Fresno Superior Court takes all DUI charges serious and the judges will punish anyone convicted of a DUI under the law. The first step in determining what will happen is to understand how the courts in Fresno work, especially when it comes to DUI charges. The DUI process begins when a police officer pulls you over either for a traffic violation or on suspicion of drunk driving. When the person is initially pulled over, the officer will gauge whether a person is driving under the influence by listening to the driver’s speech, smell their breath, and watch the driver’s dexterity and general appearance. You will most likely be asked to submit to blood & breath tests, the purpose of which is to secure the necessary evidence to convict you. Refusing to submit to a chemical tests can lead to a 1-year driver's license suspension under our state's implied consent law, regardless of whether you are proven guilty of DUI. Fighting for your license is separate from the criminal process, but important to mention in the context of avoiding DUI penalties, is the fact that you must request a DMV hearing within 10 days of your arrest, or face an automatic license suspension. By contacting our office, we can request a DMV hearing for you. If you do not have the ability to contact us right away, you may request a DMV hearing by completing the DMV Request Form and faxing it to the Driver's Safety Office where you received the DUI charges. At the DMV hearing, you are able to present a defense and you are entitled to receive a copy of all the evidence the DMV will use against you. Your attorney can represent you at the hearing. You may also subpoena witnesses and evidence that can help with your defense. You are allowed to question witnesses, including the police officer. There are special rules at the DMV hearing, so it is difficult to represent yourself without having your statements be used against you. You are not entitled to an attorney and therefore you must contact an attorney if you would like to have representation at the hearing. By retaining an experienced drunk driving lawyer that routinely handles DMV hearings, you are more likely to receive a favorable outcome than trying to handle the case on your own. Bail is the amount of money a criminal defendant is required to pay in exchange for the release from jail pending trial. Bail is returned once the trial proceedings have concluded, but bail is forfeited to the State if the defendant fails to appear in court at trial or other court proceedings. Many people that are charged with drunk driving will seek the help of a reputable bail bondsman in order to be released from custody. 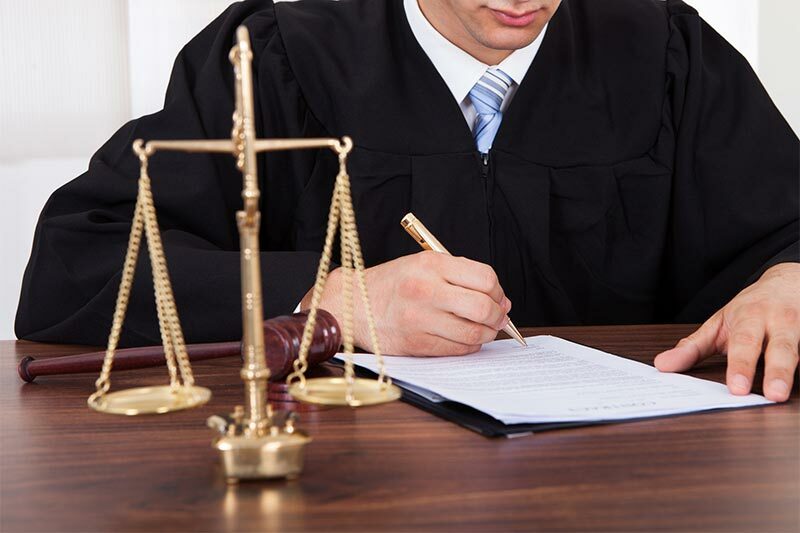 However, before posting bail, you may need to seek the assistances of a qualified DUI lawyer. At the Law Offices of Tina M. Barberi, PC, we understand the DUI process in courts and DMV in Fresno. We know what it takes to obtain the results desired by our clients. When facing a DUI, you can count on our DUI lawyer to give you sound legal advice on the DUI process and put a plan in place to resolve the underlying problems. We will work proactively in our representation so you will obtain the best possible defense for your DUI case in Fresno. If you were recently arrested or cited for DUI offense in Fresno, we urge you to contact our office today. Even if the evidence seems overwhelming against you, it does not mean you will be convicted of a DUI. The government must prove the evidence against you and when they fail to do so, it is our job to get your case thrown out of court and at DMV. If a dismissal of the DUI charges is not possible, we will try to find a way for your DUI charge to be reduced. At arraignment, the judge reads the formal charges, and you or your attorney will enter a plea of guilty or not guilty. After arraignment, the judge will issue other court dates, which may include a trial date. The police officer pulls you over either for a traffic violation or on suspicion of drunk driving. When the person is initially pulled over, the officer will gauge whether a person may be driving under the influence by listening to the driver’s speech, smell their breath, and watch the driver’s dexterity and general appearance. Motions may be made because the defense has not received all discovery. As discussed previously, all evidence in the prosecutor’s possession that might tend to show the defendant’s innocence must be disclosed. There may be a variety of court appearances for addressing procedural matters and to facilitate negotiation between the prosecutor and the defense. A large percentage of drunk driving cases resolve at this point, when the client is satisfied with the district attorney’s offer for a plea bargain. Pretrial motions are common in misdemeanor and felony cases. The most common pretrial motion is a motion to suppress evidence because it is in violation of the defendant’s constitutional rights. The typical motion will try to suppress searches, seizures, and confessions. Another common motion is a 995 motion, but is only used in felony cases after a defendant has been held to answer after a preliminary hearing. These motions are used when it is believed that either, 1) a defendant’s constitutional rights were violated at the preliminary hearing; 2) there was insufficient or illegal evidence was used to hold the defendant to answer; 3) the prosecutor failed to timely file charges; or, 4) the judge at the preliminary hearing made a factual determination that undermines the prosecutor’s case. If your case goes to trial, you will benefit from the fact that we prepare for trial with every client we represent. We have earned the respect of prosecutors and judges in Fresno County. At trial, it will be possible to present evidence and witnesses, to cross-examine the district attorney's witnesses, which may include the officer who arrested you. You are also allowed to present an argument on your behalf. If the charges are dropped or if you are exonerated, you will have the freedom to quickly put this experience behind you. In the event that you enter a guilty plea or found guilty by a jury, you may receive a harsh sentence with penalties which can last a lifetime. It is important that you have an experienced DUI attorney on your side to fight for a lighter sentence.